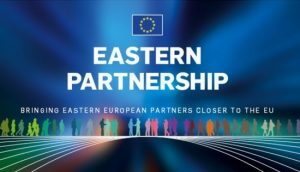 On 5 December 2016 the Eastern Partnership Multilateral Platform 1 meeting took place in Brussels. The discussions covered the recent developments and pressing issues concerning the democratic development and good governance in the Eastern Partnership which include the implementation report and outlook towards the next Eastern Partnership Summit of 2017 and the updated on the activity of the Euronest Parliamentary Assembly. Strengthening of local and regional democracy in the framework of the ENP focusing on the EaP was a major topic debated during the meeting. It was outlined that a strong cooperation between national, regional and local authorities, the private sector and civil society is necessary to achieve this goal. Furthermore, it was discussed on the need to strengthen the EU’s visibility in the region through various programmes such as EU4Business, EU4Energy or EU4Innovation.